Real estate exit strategies have become synonymous with some of the most popular wealth-building vehicles used by today’s greatest entrepreneurs. Not only are they entirely capable of awarding savvy individuals with an impressive return on their investment, but you could argue that few other investing platforms offer a more diverse set of complimentary choices. Wholesaling, rehabbing and passive income opportunities are just the beginning; which one will you choose to pursue? The answer may be easier to come up with than you think. No other industry, as far as I am concerned, offers investors more ways to invest their capital than real estate, but I digress. The same freedom of choice most covet is not without its own caveat: with more choices comes more responsibility. With the entire real estate investing world at your fingertips, it’s easy to get in over your head. That’s why I recommend tailoring your real estate exit strategy to compliment your current level of experience. Not everyone is capable of successfully navigating all of the real estate exit strategies simultaneously, nor should they be expected to. And while there are those who can manage a rehab with one hand tied behind their back while simultaneously assigning multiple wholesale contracts, it’s not reasonable to expect a new investor to be able to do the same. The key is to know your own limitations and identify the exit strategy you are most comfortable with. Truth be told, there is a time and place to initiate a real estate exit strategy, and it’s not uncommon for your personal experience to dictate which real estate exit strategy you should execute next, or even first. And while experienced investors are free to choose whichever strategy meets their needs, those new to the industry should follow what I like to call the path of least resistance. There is a specific order I would recommend investors follow when exercising their freedom to invest in real estate exit strategies. I want to make it abundantly clear: the order in which you invest in real estate exit strategies isn’t set in stone. It’s entirely possible for a new investor to invest in a buy and hold property or a rehab as part of their first deal. It’s worth noting, however, that the growth of an investor is made easier by following a specific path; the one of least resistance I set out for you here. There is an inherent advantage of moving from wholesales to rehabs to rentals. The skills you learn in each strategy compound in the next, and are ultimately invaluable to your success as an investor. Real Estate Exit Strategies: Where Should You Begin? 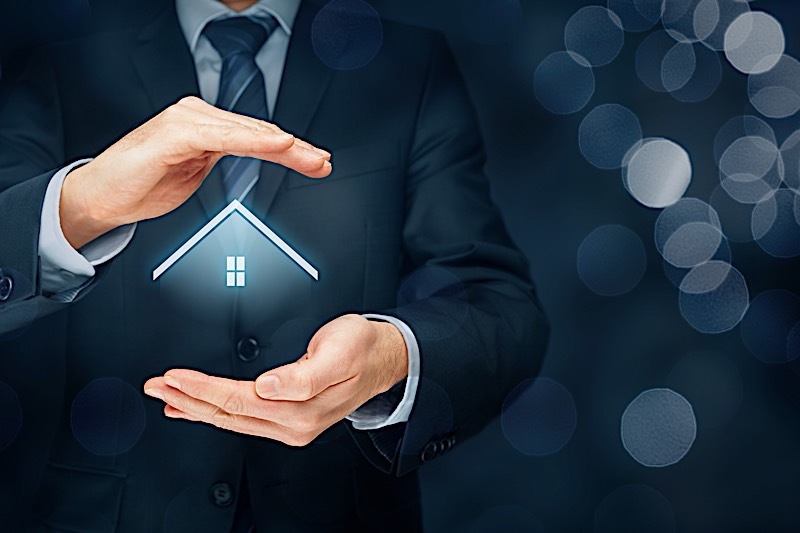 Whether you realize it or not, there is an order in which investors should get their feet wet in the world of real estate investing. And while what I am about to tell you is in no way written in stone, I am convinced that there is an order in which real estate investors need to commit to individual exit strategies: wholesales, rehabs and rentals. If for nothing else, undertaking real exit strategies in this exact order offers the smoothest transition from one strategy to the next. Wholesaling, for what it’s worth, represents the “easiest” gateway into the real estate investing world. Not only is it less of an undertaking than it’s rental and rehabbing counterparts, but wholesaling generally coincides with significantly less risk. As a wholesaler, your main priority is to go into contract with a respective seller, market the home to potential buyers, and assign your control of the contact over to the end buyer. More often than not, wholesalers never even need to assume ownership of the physical property; just the rights to purchase it. Once the seller has signed a contract saying you own the rights to buy the home, you can then turn around and sell your purchase rights to an interested buyer (usually a rehabber) for a minimal fee. Alternatively, wholesalers can also close on the property and immediately resell it to another investor in the form of a “double close.” It’s worth noting that certain regions have different laws regarding wholesaling, so be sure to check with the home’s local municipality before moving forward with a wholesale deal. As perhaps the most popular real estate exit strategy, rehabbing has become ubiquitous with the largest profit margins. And as the name suggests, rehabbing will have an investor buy a home, renovate said home and sell it for more than the initial investment (including repairs). The idea is to acquire a property for less than the market dictates and apply the necessary renovations that will make it comparable to similar homes on the market. It’s entirely possible, with the right improvements, to increase the property’s value beyond that of what you have already paid. Not surprisingly, rehabs coincide with considerably more work than traditional wholesales. As a result, rehabs expose investors to more risk and cost a lot more money. Having said that, rehabs are capable of making investors a lot more money on the back end of a deal. And with the right measures put in place, it’s entirely possible to mitigate risk. It’s also worth noting that the experience you gain from a wholesale can transition over into a rehab, and actually contribute to your efforts in a meaningful way. While some investors have found their niche in today’s wholesaling and rehabbing markets, there is a good chance they will want to graduate to our final stop on the path of least resistance: passive income. Otherwise known as a buy and hold strategy, passive income is essentially the result of a well-devised rental portfolio. And since the price of admission will have investors buy and hold on to a mortgage, this particular strategy requires more money up front. That said, most investors use rehabs as a stepping stone until they can finally transition to passive income properties. Buy and hold real estate exit strategies will have investors buy a property, and perhaps even conduct a few renovations. However, instead of selling the home, the idea is to rent it out. More often than not, investors will use this strategy when home prices are high to recoup any capital they expended acquiring the property. This is also a popular real estate exit strategy for those looking to build up equity in an asset. With property in hand, its entirely possible for any tenants you find to pay down the mortgage, making this a great strategy for those looking to not pick up a hammer.